Became BBC TV commentator with Murray Walker until his death by a heart attack 1993 at the age of 45. His son Freddie started British F Ford 2007. 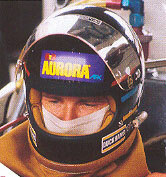 James brother David Hunt has been the rights-holder of the Team Lotus name. In 2009 Litespeed announced that it would use the historic Lotus name for its attempt to enter Formula 1 for the 2010 season, wich never came through. But in september 2010 David sold the name Team Lotus to Lotus Racing who started in F1 2010.